1) Largest Solar Power Plant of India launched in Madhya Pradesh: The largest 130-MW Solar Power Plant of India Welspun Solar MP Project was launched at Bhagwanpur in Neemuch, Madhya Pradesh on 26 February 2014. It is also the Asia's Largest Solar Power Plant. The Welspun Solar MP project was constructed at a cost of 1100 crore rupees on 305 hectares of land. It will supply power at 8.05 rupees a kWh. This Project will raise Indian solar capacity by 7 percent. 2) Ibrahim Mahlab sworn in as Prime Minister of Egypt: Ibrahim Mahlab was sworn in as new Egypt Prime Minister on 25 February 2014. He is a former member of Hosni Mubarak's political party. Mahlab was the housing minister in the previous administration. He will head Egypt's sixth government since the 2011 uprising that toppled the autocratic Mubarak. 3) Sourav Kothari clinched his maiden National billiards championship: PSPB's Sourav Kothari picked up his maiden senior billiards national title at the Manisha Billiards and Snooker Nationals after beating experienced Alok Kumar on 27 Feb 2014. Sourav captured his maiden national billiards title by beating Alok Kumar 5-3. Kothari clinched the title in great style, with an unbeaten break of 126, that left Alok stranded on three national titles. 4) India Newspaper Society (INS) celebrated its Platinum Jubilee: Born as "Indian and Eastern Newspaper Society" on February 27, 1939 in New Delhi, its a umbrella body of Newspapers published in India and currently has more than 1,000 members having publications in 19 languages with a combined circulation of 71 million copies. 5) Five-judge Constitution Bench to take decision on legalising euthanasia: The Supreme Court on Tuesday referred the issue of legalising euthanasia in the country to a five-judge Constitution bench, saying there has been “inconsistent” opinion in its previous verdicts on withdrawing medical support to terminally ill patients. A three-judge bench headed by Chief Justice P Sathasivam said that it is extremely important to have a clear enunciation of law on this issue and referred the matter to a larger Constitution bench. 6) AIIMS Bhubaneswar inaugurated: Union Health and Family Welfare Minister Gulam Nabi Azad on 26 Feb 2014 dedicated the 978 bedded All India Institute of Medical Science (AIIMS), Bhubaneswar to the people of Odisha. Speaking on the occasion Azad said, a satellite centre of the AIIMS, Bhubaneswar will come up at Balasore before elections once the state government alloted 25 acre of land for it. 7) Tech Mahindra to acquire IT services arm of BASF: IT services major Tech Mahindra on 27 Feb 2014 said it has signed an agreement to acquire the IT and consultancy services business of chemical giant BASF in a bid to strengthen its presence in Western Europe. Financial details of the deal, made through its German subsidiary, were not disclosed. It is expected to close by June this year. 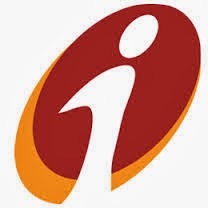 8) ICICI Bank launched ‘branch on wheels’ in Odisha: ICICI Bank launched ’branch on wheels’ in Odisha as part its financial inclusion plan to provide banking services in remote villages in the state which are devoid of banking facilities. “The ‘branch on wheels’ is a first-of-its-kind initiative by any private sector bank in India. This is yet another step of the bank to expand its reach to the unbanked villages,” ICICI Bank Executive Director Rajiv Sabharwal told. 9) U-19 World Cup: South Africa beat Australia to set up final against Pakistan: Fast bowler Kagiso Rabada wreaked havoc with a six-wicket haul as South Africa trounced Australia by 80 runs to storm into the final of the ICC Under 19 Cricket World Cup on Wednesday. South Africa will now clash with Pakistan on Saturday in the title clash.